The veritable crown jewel of Middle Tennessee, Belle Meade is the address of Nashville’s high society. This incorporated city marks Harding Road and Belle Meade Boulevard with its own equine street signs. An autonomous police department makes it the safest neighborhood in town. Besides its well-known estates are smaller residences from the 1930s and 1940s. Established families often occupy their homes for generations, which make for a very stable locale. Belle Meade is home to Cheekwood, Belle Meade Plantation, and the Warner Parks. Nearby West Meade is a tree-hidden pocket of 1950s and 1960s ranch homes, located west of Harding Road/West End Avenue. As with Belle Meade, the expanse of private property in all directions guarantees a level of peace and quiet only a mile away from Nashville’s major commercial hubs. Bellevue Community is located in the southwestern part of Davidson County. It?s bordered on the west by Cheatham County, on the south by Williamson County and its northern border is the Cumberland River. While the population continues to grow, there are still plenty of rural areas in this charming and scenic community that even offers a glimpse at the Scenic Natchez Parkway which runs through the southern portion of this community. Belmont-Waverly, also known as Sunnyside, extends east from Belmont Blvd. to 9th Avenue South and from Gale Lane north to Bradford Avenue. The neighborhood is demarcated by 12th South, a commercial hub revamped with pedestrian-friendly walkways and decorative benches. A couple local favorites are Mafiaoza’s, a great pizza and beer place, and Frothy Monkey, a coffeehouse that doubles as a Wi-Fi hotspot. This diverse neighborhood is centered in Sevier Park, the site of antebellum Sunnyside Mansion. Nearby is Peace Monument Park, a green space housing the recently rededicated Battle of Nashville monument. Rambling Queen Annes and American Foursquares punctuate the streetscape, as do spacious 1900-1915 cottages, smaller 1920-1940 Tudor cottages and bungalows, and a few early 20th-century shotgun cottages and Dutch Colonial houses. Its location offers easy access to downtown, the Melrose commercial district, Green Hills and local universities. The Belmont and Hillsboro Village areas were once the expansive estate of Adelicia Acklen, whose antebellum home crowns the campus of Belmont University. These charming side streets feature wide, tree-lined sidewalks and appealing structures built from 1890 to the 1930s. Seasoned locals use the Magnolia Boulevard crosswalk to Hillsboro Village, Nashville’s hippest mix of businesses, well-constructed old homes and unique design character. This self-contained community holds a colorful strip of specialty shops, galleries, restaurants, and public art. Today this area is a pedestrian crossroad. Its ubiquitous sidewalks extend far into Music Row and the Hillsboro-West End vicinity. The neighborhood is accessible by foot to Vanderbilt and Belmont Universities, a local post office, banks and the Belcourt Theater. Brentwood, originally a rural community of planters and farmers, began to develop into a business center after the Civil War and is now the northern gateway to Williamson County. One of the state’s wealthiest suburban areas, Brentwood is home to hundreds of upscale businesses and stores that attract affluent residents, including country music stars and medical industry executives. Brentwood is also the corporate home of Tractor Supply Company, LifePoint Hospitals, Inc., and other large corporations. Nashville’s first suburban subdivision is as full of history as it is of shady landscaping and quiet, well-preserved domiciles. A mustering ground for Civil War volunteers, Cherokee Park is the home of Richland Creek Greenway, a two-mile trail which will link the neighborhood to nearby open spaces and shopping areas. Cherokee Park is one of six Nashville districts with Neighborhood Conservation Overlay. Protective residents maintain their own Neighborhood Association Website and have vigorously fought changes in local zoning ordinances to maintain its architectural integrity. The 300 homes in these Tudor-dominated walkways were built primarily in the 1930s. Colonials, Cape Cods and sundry cottages also lurk within the streetscape. Its meandering side streets offer a perfect combination of suburban privacy and urban proximity. 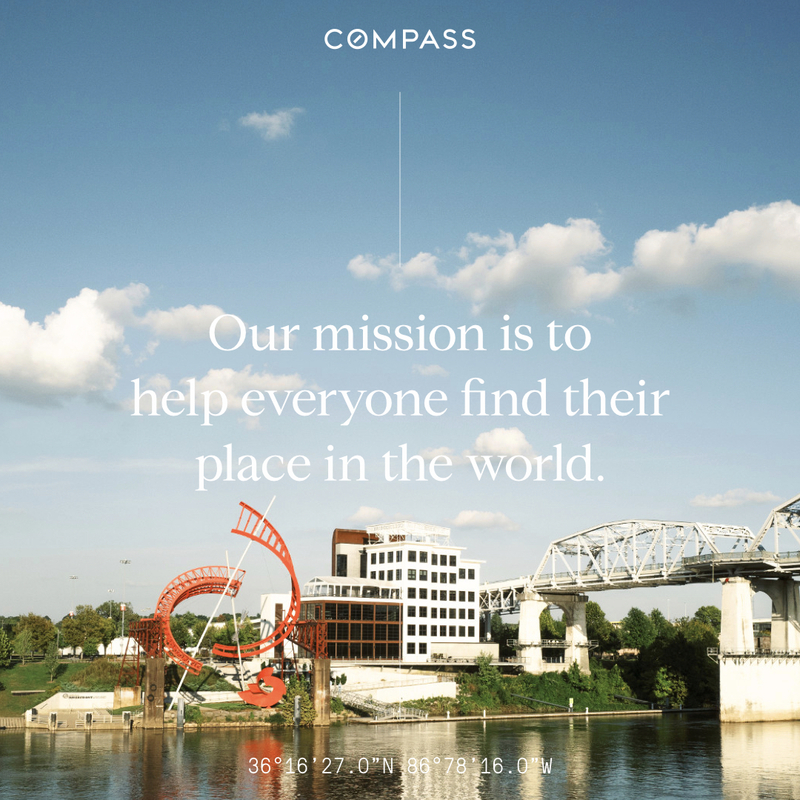 Downtown Nashville is quickly becoming the trendy place to call home in the 21st Century. Converted loft space and upscale condos have taken their place amidst the burgeoning brick and steel wonderland that is downtown Nashville. Renovations abound as suburbanites continue their influx in town. One work in progress is the historic urban village-to-be in The Gulch, destined to be a 20+ acre residential and commercial epicenter. Meanwhile, die-hard urbanites sleep above century-old warehouses within the Second Avenue Historic District. Graced with unique shops, nightclubs, restaurants, and offices, “The District” keeps going long after commuters head home. Full-time downtowners walk to the Frist Center For the Visual Arts, the Bridgestone Arena, LP Field and the new incarnations of the Main Public Library and Country Music Hall of Fame. Slowly but surely, downtown is working its way into an enlivened urban scene. Delineating Lockeland Springs is up-and-coming Eastwood Neighbors. Extending from Gallatin to Porter Road and between Douglas and Eastland Avenues, this is a collection of cute, smaller houses from the 1920s and 1930s that are a fraction less expensive than those in Lockeland Springs. Historic East End is demarcated by 11th and 14th Streets and by Woodland and Shelby Streets. Located on the eastern edge of the original city limits, East End began as an outgrowth of the fashionable Edgefield community. Electric streetcars from the Gay ’90s drew hundreds of residents and a building spree of Eastlake, Queen Anne and Neo-Classical gems. Today, this unspoiled pocket of Victoriana retains a relatively high number of owner-occupants. Immediately south of Green Hills, commercial space and condo lots give way to winding streets and large lots of cavernous ranches and split-levels. Forest Hills and Seven Hills are offshoot communities from the Hillsboro Road thoroughfare. The rolling slopes in these lush green spaces actually are those “green hills” visible from Green Hills. A large number of these homes are one-level structures from the 1950s and 1960s. Forest Hills in particular offers a large selection of older homes on leafy one-acre lots, with a choice between one-story brick ranches and two-story colonials built in the 1960s, 70s & 80s. The locals take pride in their communities and enforce the strict zoning codes. Convenient both to Williamson County and The Mall at Green Hills, residents also frequent Seven Hills Tennis and Swim Club. Originally the estate of landowner Rufus Fort, Fortland Farms is now marked by colorful ranch houses. Fortland Farmers have a huge park to call their backyard, with opulent landscaping courtesy of Metro Parks and Recreation. An economical answer to West Meade and Crieve Hall, this is a great value on Shelby Park. Around the corner off Eastland Avenue is Rosebank, a neighborhood with a similar flavor. In the midst of these lots is Rosebank Mansion, an 1803 estate that originally held 500 acres. Beyond the standard ranches are pleasant structures from the 1910s to the 1940s, many occupied by the original owners. Bordered by Eighth and Third Avenues North and between Jefferson and Hume streets, Germantown is re-emerging as Nashville’s uptown oasis. The town’s oldest residential community is just a few steps from Bicentennial Mall and Farmer’s Market. Investors and artists alike head north for easy access to restaurants, entertainment, and spectacular views of the State Capitol. Germantown is all about diversity. Spacious estates border modest worker’s cottages. The eight-block area is an architecturally heterogeneous mixture of residences built between 1840 and 1930, and new houses are built according to the neighborhood’s historic architectural guidelines. MUL zoning allows residential, commercial, office, retail and industrial entities to coexist side-by-side. Listed in the National Register of Historic Places, Germantown falls within one of MDHA‘s many redevelopment areas. The home of the historic Church of the Assumption and other landmarks, this renewed community is chock full of appealing sidewalks and gorgeous flora. Nashvillians in the know attend the popular Oktoberfest and Maifest celebrations as well as the Sounds games at brand new First Tennessee Park. Green Hills is an array of moderate to upscale dwellings from Hillsboro Road to Granny White Pike. Located near the I-440 loop, this commercial hub is convenient to downtown, Music Row and local universities. The eastern edge of the neighborhood near Lipscomb University is filled with charming older houses on hilly lots – the more secluded, the more stately. On the western border is Bowling/Woodlawn. Grazing the West End/Whitland neighborhood, this winding, leafy intersection is a quiet center between 21st and West End. Green space and public art adjoin the newly built Green Hills Branch of the Public Library. The Mall at Green Hills – a favorite of shoppers – is surrounded by upscale specialty stores and houses converted into commercial space. The result is a healthy dose of suburban privacy and convenience. The Gulch is a LEED Certified community in the heart of Nashville. It’s a dynamic area of urban development and redevelopment on the southwest border of Nashville’s Central Business District. An exciting combination of the old, the adapted, and the cutting edge, the GULCH pulsates with opportunities for the very best in urban living. Some of the best dining (Moto and Saint Anejo) and shopping (Lucchese) can be found in The Gulch. Historic Edgefield extends from 5th Street to 10th Street between Woodland and Shelby. This onetime independent municipality boasted over 3,400 residents in 1869. Edgefield sponsors a tour of homes each spring, proudly showcasing the neighborhood’s best restoration projects along with historic churches and a museum of neighborhood history. A sundry mix of entrepreneurs, empty nesters, longtime residents and B&Bs create a dynamic neighborhood feel. Here you’ll find the only sizeable concentration of Victorian residential architecture remaining in Davidson County. Along with the historic Warner Elementary School, an Edgefield house is reported to be the birthplace of Jesse James. Historic Edgehill and today’s Music Row together form the best hodgepodge of visible Nashville landmarks. Peabody College and University School of Nashville slowly blend into bungalows converted into record label offices and then to residential streets. Even the Bank of America on 16th Avenue South is a restored, gabled gem. The area’s best-kept secret is Scarritt-Bennett Center, a Neo-Gothic retreat offering quiet grounds for strolling and reflecting. Public green spaces include Tony Rose Park, a small playground pocket behind Music Circle South, and Owen Bradley Park, a grassy peninsula opening up into the Division Street thoroughfare. The Edgehill/Music Row neighborhood bumps into Vanderbilt and Belmont Universities, as well as onto the hip commercial strip on upper 21st Avenue South. Williamson County is still farm country and gentrification hasn’t changed that. It is now one of the country’s wealthiest counties, attracting suburbanites who appreciate local history and character within easy access. Long before Cool Springs and Brentwood developed from pastures to mega suburbs, a small following of homebuyers settled into Historic Franklin, a unique, yet unpretentious, antebellum township. Franklin was the site of several key battles during the Civil War, with bullet holes still visible in some walls. Rich in history and tradition, its 15-block historic downtown district has been restored and now thrives with trade and tourism. It is listed on many travel guides and features clothing stores, antique shops, art galleries and more. One visitor hotspot is the mansion at Carnton, an 1826 plantation complete with an onsite Civil War cemetery. Franklin is the centerpiece and county seat of Williamson County. From the old-time charm of its historic downtown, it?s only a couple miles to more modern, expensive homes of NFL stars and famous musicians, and to the Cool Springs area, location of numerous upscale restaurants and the Cool Springs Galleria Mall. Only a half-hour commute to downtown Nashville, Williamson County has five neighborhood parks complete with nature and fitness trails, tennis courts and playgrounds. Available housing includes historic homes near the Franklin town square, rural mini-farms, and cluster homes in new developments. An eclectic cluster of subneighhborhoods and architectural styles, Inglewood offers everything from 1930s stone Tudors, ranches, log cabins, Victorian mansions, and bungalows. Belle Meaders of old summered here, willing to “rough it” enough to trudge through cow pastures to reach their riverfront properties. All around are majestic views of the river, Shelby Park, and even Opryland Hotel. Dubbed by owners “the steal of the century,” Riverwood contains properties from the 1920s and 30s. It is the site of Riverwood Mansion, built by James Porter in 1799. Nearby Brush Hill is slightly more upscale, offering large lots and backyards with all the wide-open spaces an East Nashvillian can handle. Like its neighbors, the Shelby Golf Course and Shelby Village pockets are full of quiet little architectural surprises. Nestled in a valley is Little Hollywood, a collection of unique Spanish style houses bordered by woodlands. But the area’s real oasis is the Shelby Bottoms Greenway, a unique green space along the river. Leipers Fork is a tiny woodsy community located about halfway between Franklin and Fairview, and is the home of Puckett’s Grocery and Restaurant, the most unlikely-looking place one could imagine for great food and world-class entertainment. But with a menu that features everything from cornbread stuffing to grilled Atlantic salmon, and performances from some of Nashville’s most notable tunesmiths and even an occasional Doobie Brother, Puckett’s is the place to see and be seen – and eat. What started out as a turn-of-the-century streetcar suburb has evolved into the East Nashville neighborhood of choice in the 21st century. Dotted with Queen Annes, Tudors, Craftsmans and bungalows from 1880 to 1940, Lockeland Springs offers a wealth of options for anyone seeking a good deal on a historic home. Lockeland Springs is a best bet for residential and commercial buyers looking for value. Businesses seeing its potential are setting up shop at retail convergences like Five Points to establish their presence on this side of the Cumberland. The locals who have already discovered this gold mine frequent trendy watering holes like Bongo Java and Margot. You don’t have to be an academic to settle in Murfreesboro, though it’s home to one of Tennessee’s largest state universities – MTSU. Centered in Tennessee’s fastest growing county, Rutherford, this onetime state capital isn’t just a home-away-from-home anymore. Art galleries, live music, specialty shops, antiques and new shopping centers like The Avenue all make Murfreesboro a great place to live 7 days a week. Murfreesboro participates in the National Main Street Program for Historic Preservation. Its historic district, complete with an old state capitol and town square, enjoys its share of Neoclassical, Italianate, and Victorian structures. Nearby is Murfreesboro-Rutherford County Center for the Arts and Oakland Historic House and Museum. Outdoorsy types divide their time between Percy Priest Lake, parks, and five public golf courses. On the 4.5 miles of the Stones River Greenway they can walk, jog, bike and rollerblade their way across historic Murfreesboro, including a link to the Civil War battlefield at Stones River. Oak Hill offers the convenience of Green Hills on one side and Brentwood on the other, but is a comfortable distance from major commercial corridors and thoroughfares. This quiet, upscale residential community has the privacy afforded by wooded lots and streets that wind into the hills. A stone’s throw from Traveller’s Rest, Oak Hill residents take weekly excursions to nearby Radnor Lake to commune with nature. Oak Hill properties are primarily one-story houses on beautiful lots, many offering spectacular views of the Middle Tennessee landscape. With a rather diverse mix of architectural styles, this neighborhood boasts a high percentage of custom homes. RICHLAND / WEST END Richland Central lies between Murphy Road, I-440 and West End. Lined with grassy street medians and artfully landscaped yards, this early 20th century neighborhood is dominated by Bungalows and Foursquare homes. Federal, Cottage, Georgian and Tudor Revival houses also make cameo appearances. This family-friendly haven becomes an unofficial Halloween central each October. A dedicated Neighborhood Association monitors the residential quality and sponsors an annual tour of homes. On warm weekends, West End girls and boys congregate at Elmington Park. Richland-West End borders Whitland Avenue and its environs. Here and there historic markers dot forgotten Italianate manors. Though this well-manicured lane hosts a block party every Fourth of July, it’s a haven the rest of the year for pedestrians who want to be alone. Situated in both Williamson and Maury Counties, Spring Hill was a small rural community with as many cows as there were people before automakers began to arrive in 1990. Now this community has an arts center that offers a number of classes as well as plenty of other special events and businesses around town. It is home to several historic homes including the Rippavilla Plantation, a 19th century Greek revival Antebellum home. Charming, historic Sylvan Park was Music City’s best-kept secret before a horde of young professionals and retirees got their creative hands on it. The homes of this close-knit West Nashville community have been carefully restored and landscaped into shape. A bagel shop, a coffeehouse, new restaurants and an art gallery have taken their places among its one-block commercial strip. Prominent on its tree-lined street blocks are 1910 to 1940’s frame and brick bungalows. Also prevalent are 1900-1915 Princess Anne cottages, small brick cottages with Tudor and Deco influences, and large, handsome Queen Anne homes. Golfers find haven at McCabe Park and McCabe Pub across the street is a local hot spot. Ten minutes south of Franklin is Thompson’s Station, which has become a high-priced bedroom community to Williamson, MauryandDavidson County residents. It’s known in local history books for being a famous Civil War battle location, the town’s 1,500 or so estimated residents come together each October to enjoy a pancake breakfast which raises money to help finance the small town’s growing infrastructure. The hilly enclave of this area surrounds the campus of Vanderbilt University. Its motley collection of early 20th century homes include bungalows, foursquares, Cape Cods, Colonial revivals, and Tudor revivals built between 1920 and 1940. Within this pocket is Love Circle, a spiraling road leading to Bald Hill, a spectacular point to view the downtown skyline. Other nearby winding side streets offer enviable glimpses, and sidewalks abound for walkers navigating the neighborhood or traveling to Elmington and Fannie Mae Dees Parks. Vanderbilt/Midtown offers several nearby shopping districts and numerous restaurants. One of the local favorites is San Antonio Taco Company, simply called SATCO by the regulars. Even though it is surrounded by activity on all sides, this hillside pocket leaves plenty of open spaces to be left alone with your thoughts. Directly adjacent to Vanderbilt University is a small niche called Midtown which sits snugly between Music Circle and West End Avenue. Midtown offers a variety of nightlife, art galleries, one of Nashville’s oldest churches The Cathedral of the Incarnation. Along Wedgewood Avenue is Waverly Place Historic District, a 19th century suburban subdivision. Tracing the rolling terrain, Waverly Place’s curving roads wind their way between 8th and 10th Avenues and extend to Bradford Avenue. Bungalows and Tudors share space with a variety of frame homes, brick cottages, Princess Annes and American Foursquares, dating from 1890 to 1930. Farther east is Woodland-in-Waverly, an old streetcar suburb in the midst of Nashville’s antique hub. One of only two locally zoned historic preservation districts, these 1890-1920 homes include Queen Annes, Princess Annes, Craftsmans, English Tudor Revivals, American Foursquaresand bungalows. Wedgewood-Houston is positioned to become an Urban hotspot as it is on the fringe of downtown Nashville, and borders one of Nashville’s most popular neighborhoods, 12th South. Wedgewood-Houston has become known to some locals as WeHo, and offers extremely convenient access to the interstate and just minutes away are 12th South, Belmont, Downtown, The Gulch, East Nashville, Berry Hill and 100 Oaks.